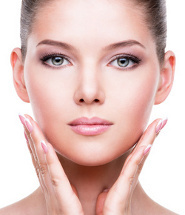 Posted in Grooming, Skin Care	| Tagged Acne, acne care for women, acne cleanser, Acne Facial Encinitas, Acne facial San Diego, acne prevention, acne tips, Bacne, causes of bacne, clear skin Encinitas, congested with dead skin and oil, cure bacne, cures for acne, Dermalogica Skin Care Products, does everyone have acne?, how often should I exfoliate, how often should I wash my back, how sweat effects my skin, how to get rid of acne, how to get rid of bacne, how to get rid of zits, how to prevent acne, how to prevent zits on my chin, how to treat bacne, salicylic acid, skin care Encinitas, skin care for women, soap to use when breaking out, sweat and bacne, teenagers and acne, tips and tricks for taking care of skin, Treat Acne, ways to prevent acne without medicine, when will my acne go away, why do I breakout, why do I have acne, why do i have bacne, why do I have zits but others dont, zits	| Comments Off on By Golly, it’s BACNE! Posted in Skin Care	| Tagged Acne Facial Encinitas, Carlsbad skin care, congestion in skin, Dermalogica, Dermalogica Skin Care Products, favorite body scrubs, helpful skincare habits, how often should I exfoliate, how to avoid dry skin, how to get rid of blackheads and whiteheads, how to have a smoother shave, how to prevent congestion in skin, how to prevent ingrown hairs, how to reduce breakouts, importance of exfoliating, skin care, skin care for men encinitas, Skin Trade, Skin Trade Encinitas, skincare, skincare encinitas, skincare san diego, what are the benefits of exfoliating, what is congestion, why should I exfoliate, women's skin care Enicinitas	| Comments Off on Don’t hate. Exfoliate!